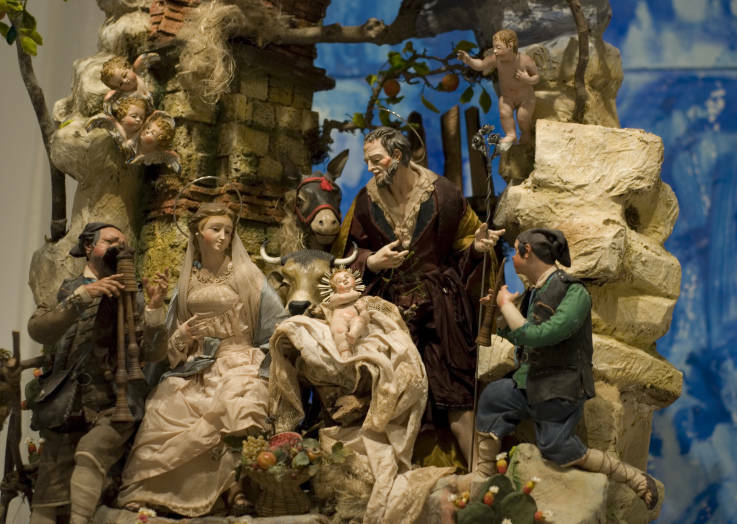 The tradition of putting together a crèche started in the 17th and 18th centuries in several Italian cities, but theNeapolitan presepe is perhaps the most famous all over the world. San Gregorio Armeno street, in the heart of Naples' old town, is filled with tiny artisan workshops making nativity scenes and "terra cotta" figurines. 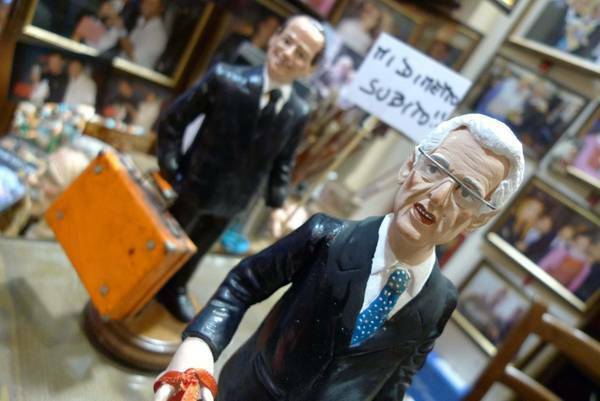 These include Jesus, Madonna, and the shepherds, but also caricatured politicians and entertainment stars. Berlusconi, Obama, and Lady Gaga figured prominently in the past years, Mario Monti (the new Prime Minister of Italy, as well as Minister of Economy and Finance) this year. The reason is that originally the artisans used the presepe to offer a popular chronicle (and often a critique) of public life in Naples, summarizing major events and exposing its protagonists. Rome is instead home to another tradition, that of zampognari (pipers), folk musicians who get their name from the instrument they play (zampogne, or bagpipes). 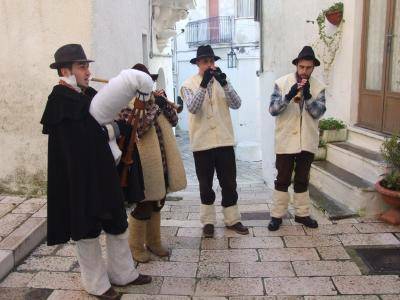 They come down from the mountains around the city, wearing traditional costumes, and perform Christmas songs in the streets. Historically the zampognari were poor peasants and shepherds who toured the cities during the holidays asking for food and money. Tombola is the forebear of the American Bingo—but in Italy (especially in the South) it is a traditional Christmas family game played usually around the dinner table. 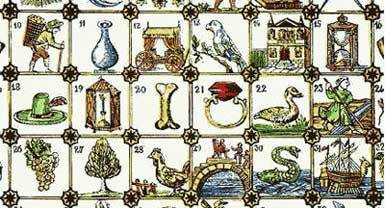 As each number is called out of a rotating drum or a box, they are typically announced by a little rhyme, the most famous of which are in Neapolitan dialect. These rhymes may refer to religious themes (for instance, #33 will be "The Years of Christ,") but many have a lay origin and even a clear teasing-meaning, which make everybody laugh in a rather politically incorrect manner. These include, among others: #21 'A femmena annura (The naked woman); #28 'E zizze (Women's breasts); #23 'O scemo (The idiot); and #48 - 'O muorto che pparla (Dead Man Talking). On market stalls all over the country, kids also find stockings, of all shapes and sizes, with the image, or figure of an old, ugly lady. This lady is called Befana. She is not a witch, even though she flies on a broom, and, on the night of January 5th and the early hours of January 6th, brings to all good kids a stocking filled with candy and small toys, while those who did not behave, get a stocking filled with black coal. The origins of Befana are rooted in the ancient magical traditions of Italy's popular culture, but with the passing of time she came to combine both folkloric and religious mythologies, so that Befana’s treats parallel the Magi’s gifts brought to baby Jesus. 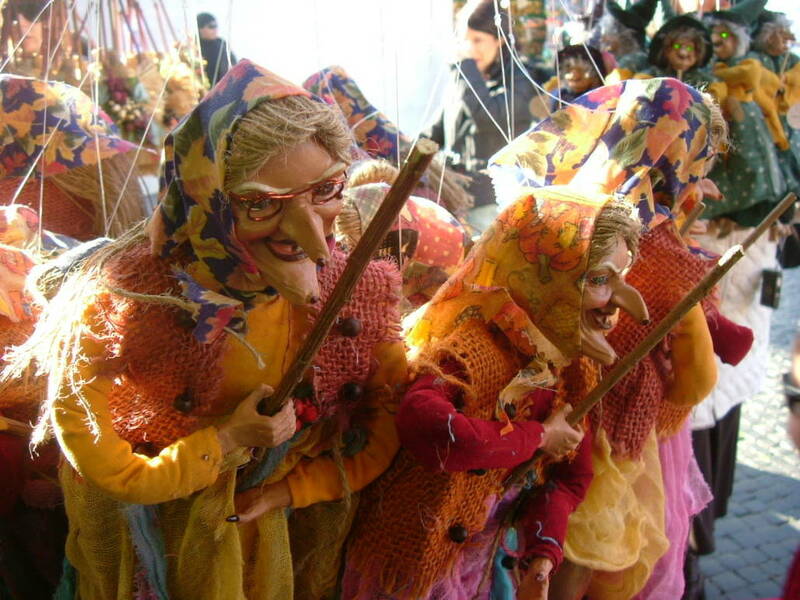 The day of Befana also marks the end of the holiday season. This is when all Christmas Trees are taken down and the last day of vacation for kids who, sadly, get ready to go back to school.